Commissioning, test sail, transatlantic crossing from La Grand Motte, France to Fort Lauderdale, Florida via Gibraltar, Lanzarote, Cape Verde and St. Martin, West Indies, with coaching and sailing skill development. This may be lengthy as a reference commendation, however, if there is a sailor out there that desires to make a crossing with his less than euphoric bride, I'd hope you'd want them to hear from me. Transporting a new Outremer 51 with a novice sailor and his hesitant wife across the Atlantic was a noble task. You had your work cut out for you when I said I was willing to make the first half of the crossing, "but don't expect me to do night watches." I quickly learned that was not an option. Taking Pu' from France, through Gibraltar, and on to the Canary Islands was challenging and rewarding. Provisioning, rope knots, sail course and discovering that the 3-6am watch was my favorite, culminated in the shocking decision that I chose to accompany you on the second phase of the crossing. With each passing day further away from seeing land, the journey became more of an adventure than a "thing I was doing for my husband". Your patience and daily teaching/ coaching equip me to have greater confidence in being able to do this crazy thing called cruising! Having Jay and I do a majority of the sail work in the final two days was brilliant. It reassured us that this could successfully be accomplished by the two of us. Over the course of the Atlantic crossing, my husbands bucket list became a reality, and my land locked soul was transformed into one that is delighted to embark on our future life of cruising. We are very pleased with the outcome of the experience, and hope to have you assist us in the next phase of our adventure...crossing the Pacific. I can't thank you enough. We never could have accomplished this without your patient encouragement and guidance." 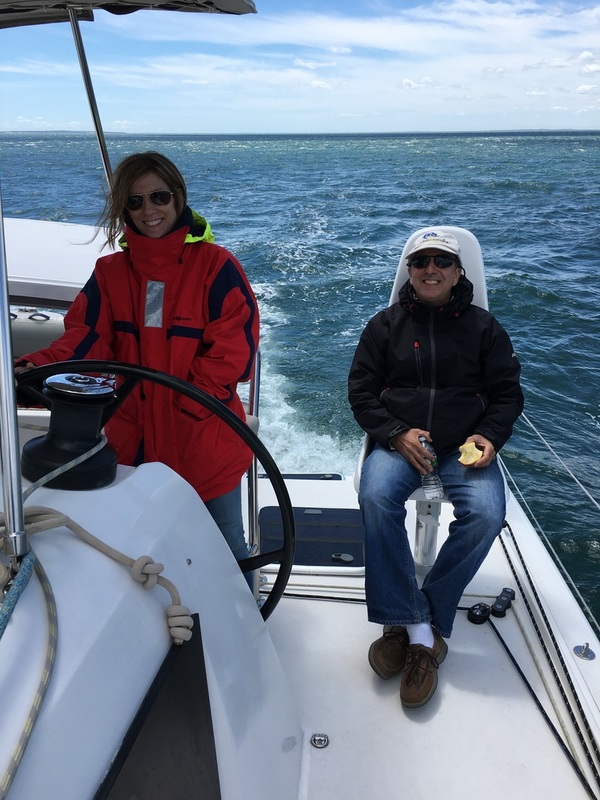 From Adam Friedlander, owner of Davali, Outremer 45', 2014 Commissioning, transatlantic crossing from La Grand Motte to Long Island, New York via Gibraltar, Lanzarote, St. Marten, Turks & Caicos, Bahamas. Owner aboard crossing with coaching. Last leg was a cruise from the Caribbean to New York. After the initial euphoria of buying a new Outremer 45 in France, I was a bit overwhelmed by how I would get her back to New York, provision her, perform sea trials, and find a captain and crew, all while meeting work and family commitments…until I hired you. After calling your references who all spoke to your unparalleled ocean crossing and catamaran experience, your wonderful nature and integrity, I was very excited about the voyage. I am very grateful to you for making a dream trip a wonderful reality. You delivered on every promise, your word your bond. You assembled a talented crew, passionate about sailing, easy going with “can-do” attitudes. 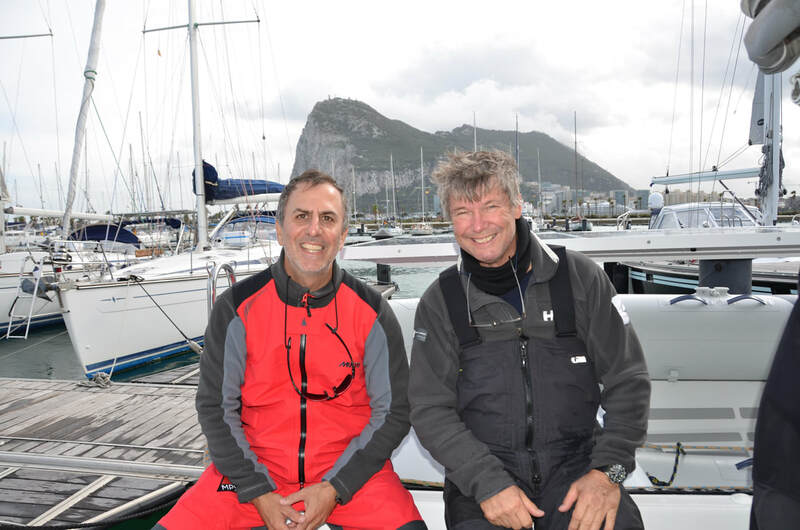 "Our sailing, aside from being thoroughly enjoyable, really helped me gain more experience and confidence. I learned to reef before hoisting, to douse behind the jib, to do a controlled gybe in big wind is ok, that my autopilot, fridge, and water maker have issues, how to set my battery switches, how to rig for unobstructed by main raising, that tiller sailing is great, that Lisa is more confident with you guys on the the boat. I’m sure more...the biggest win was that yesterday I took Davali out alone and loved it, and broke on through to the other side. That opens new doors for me and had a lot to do with the extra confidence that you both helped me capture. Thank you."